I am psychic. You don’t believe me? You should. At my mother’s funeral, which was attended by warring factions, the priest swung the censer and it broke. The assistant had trouble picking it up: it was hot. I knew this was the work of my mother’s ghost: she was upset by the strife. The family members were stationed on different sides of the aisle, some glaring in the shade; with a few exceptions, they were rude at the cemetery. They were furious about the will –how they hated to share!–just as in Middlemarch and War in Peace. I was the only one who noticed my mother’s ghost, but certainly some must have felt it. I am also psychic in the choosing of books, which are often startlingly related to each other. For instance, I recently reread Adam Bede and mentioned here that I read it as a child. And then I picked up All the Books of My Life, by Sheila Kaye-Smith, and lo and behold! she writes about Adam Bede, which she had been forbidden by her mother to read until she was 21. She knows it would have appealed to her as a child. George Eliot was better suited to the heaviness of my mind [than Dickens], but grown-up intervention had robbed me of the very book that would have suited me best. The characters and the story are better adapted than in many of the others to a young reader’s perceptions, the comedy is unobtrusive and the tragedy obvious. Instead I read Silas Marner and found it completely uninteresting. Nothing was banned at my house, but I had a similar experience with Eliot . At my grandmother’s house, I read Adam Bede and The Mill on the Floss, but could not understand Eliot’s other books. Adam Bede is such a vibrant novel, actually one of her best. I liked the drama, and the preacher Dinah’s standing by the shallow, beautiful Hetty, an unmarried pregnant girl accused of infanticide who is not sympathetic until she runs away, trying to find the father of her child. Dinah stands by her in prison and brings out Hetty’s good qualities. I, too, found Middlemarch a slog as a teenager. It was only later, in my twenties, that I appreciated it. But for all the perfections of Middlemarch, may I admit that I still prefer Adam Bede? By the way, you can read my posts on Sheila Kaye-Smith’s novels The End of the House of Alard and Joanna Godden here and here. A few years ago in a “Books of the Year” article in The Spectator, Charlotte Moore charmingly recommended Sheila Kaye-Smith’s novels. My most enjoyable wallow in the past this year has been provided by Sheila Kaye Smith, ‘the Hardy of Sussex’, whose intense human dramas, enacted in a primitive rural landscape about to be forever changed, were satirised in Cold Comfort Farm. Try The End of the House of Alard — the title says it all. You are missing out on a guilty pleasure if you know the books of Kaye-Smith and Mary Webb only from Stella Gibbons’s Cold Comfort Farm. Although Gibbons’s witty satire is amusing, it destroyed the reputation of these once popular writers for us. 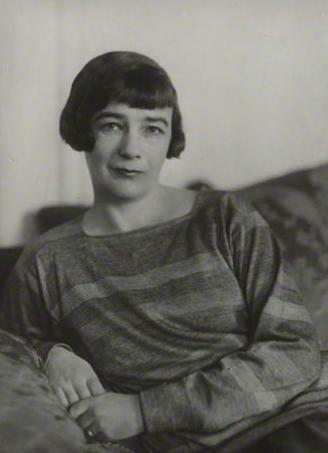 I am a fan of Mary Webb’s Precious Bane, which won the Prix Femina Vie Heureuse Prize in 1924. I recently curled up with Kaye Smith’s Joanna Godden. It is not in the same class as Webb’s Precious Bane–the writing is much rougher–but Kaye-Smith’s portrait of a woman farmer is intriguing. 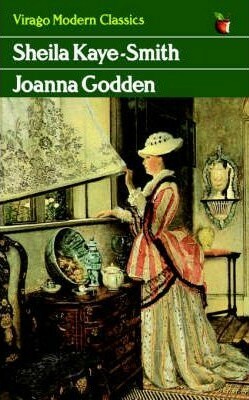 Published in 1921, Joanna Godden chronicles 20 years in the life of a woman farmer. When Joanna inherits a sheep farm from her father, she scandalizes the neighbors and other farmers by managing it herself. It is not easy being a woman farmer. She is snubbed by the other farmers, and has trouble managing her father’s men. She makes staff changes: she hires a new “looker” for her sheep, partly because he will obey her, partly because she is attracted to him. After a disastrous experiment with breeding sheep, she realizes her father would never have hired anyone so inexperienced. The writing is rough, but the story is gripping. Kaye-Smith’s description of Joanna in the opening pages shows us that she is no “lady.” She is loud, outspoken, big, and likes frills and plumes. She was emphatically what men call a “fine woman’ with her firm, white neck, her broad shoulders, her deep bosom and strong waist; she was tall, too, with large, useful hands and feet. Her face was brown and slightly freckled, with a warm color on the cheeks; the features were strong, but any impression of heaviness was at once dispelled by a pair of eager, lively blue eyes. Big jet earrings dangled from her ears, being matched by the double chain of beads that hung over crape-filled bodice. Indeed, with her plumes, her earrings, her necklace, her frills, though all of the decent and respectable black, she faintly shocked the opinion of Wayland Marsh, otherwise disposed in pity to be lenient to Joanna Godden and her ways. Joanna becomes the richest, most successful farmer on the Romney and Walland Marshes in Kent. Kaye-Smith also explores the complications of sisterhood. Joanna is alternately affectionate and violent towards her sly, pretty younger sister, Ellen. Joanna sends her to boarding school so she can become a “lady,” but when rebellious Ellen comes home, the marshes bore her. Ellen runs away with a man. Years later, Joanna, has an unsatisfying romance, and finally faces a problem she cannot solve. I enjoyed this book very much, though I won’t lie and say it’s good. Has anybody else read Sheila Kaye-Smith’s novels? What else should I read?